Welcome to Afford A Bounce of Dallas! 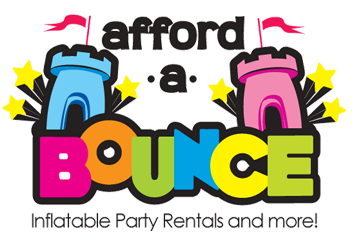 Afford-a-Bounce is the greater area of Fort Worth and Dallas' premier inflatable rental company specializing in house parties, school & church festivals, block parties, company events, picnics and any other event where fun is priority #1. Our equipment is clean, safe, and delivered to you on time to make sure your event is one your guests will remember for years to come! 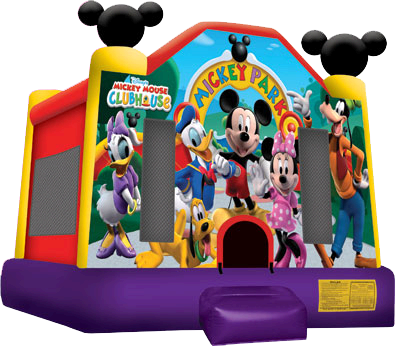 For safe, quality, affordable bounce house rentals in Dallas TX please choose Afford-a-Bounce! We have a great selection with all of your favorite characters. We also have inflatable slides, water slides, chairs and tables, and concessions including: popcorn machines, sno-kones and cotton candy. So whatever you want to call them...give us a call or reserve on-line and we promise a great time. For a cheap, affordable option you can pick it up yourself for the discounted price of $69 starting with the basic but fun bounce houses. Currently delivering to the following areas from our Dallas location: Dallas, DeSoto, Duncanville, Grand Prairie, Cedar Hill, Midlothian, Waxahachie, Ferris, Irving, Las Colinas, Red Oak, Lancaster, Wilmer, Hutchins, Cockrell Hill, Balch Springs, Mesquite, Coppell, Carrollton, Richardson, Addison, Garland, University Park, and Rowlett. Some areas incur an additional small distance fee that will display upon check-out. For locations outside this area visit AffordABounce.com This location provides service to Arlington, Fort Worth, Haltom City, Mansfield, Grand Prairie, Keller, Richland Hills, North Richland Hills, Southlake, Colleyville, Euless, Bedford, Burleson, Benbrook, White Settlement, Everman, Kennedale, Crowley, Rendon, Lake Worth, Lakeside, Watauga, Saginaw, Blue Mound, Forest Hill, and Haslet. 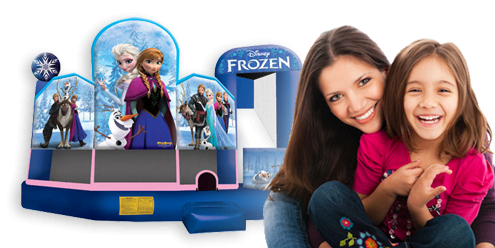 Just for the littlest of your guests, the Frozen themed toddler playland is guaranteed to excite and delight. The Frozen Playground feature bright, Disney licensed graphics of all your favorite Frozen movie characters. 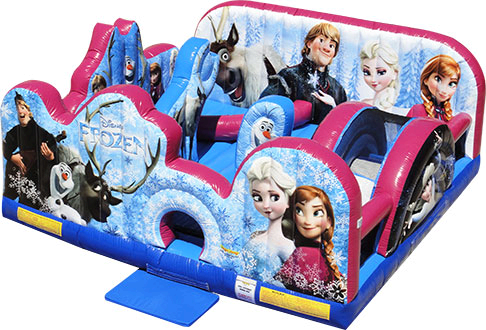 Elsa the Ice Princess, Anna, Kristoff and Olaf are ready to welcome everyone into this inflatable playground. Once they crawl through the entrance tunnel, there are bounce areas galore, bouncy climb & slides, popup obstacles and more. The Dragon Castle is a Roaring Good Time! There's nothing scary about this friendly dragon's lair. 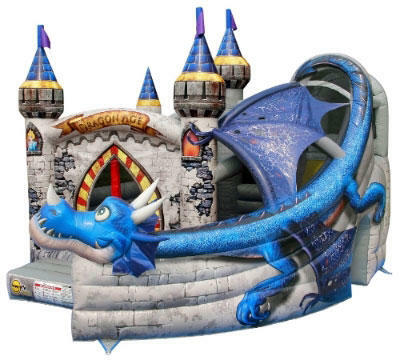 Enter the castle gates and this large combo bouncer rental has a giant bounce area, so there's room for your whole party. 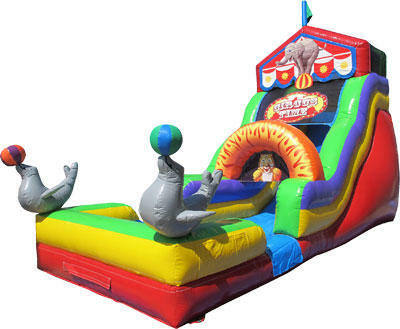 Add to that the awesome curved climb & slide, and your guests will have fun for hours. 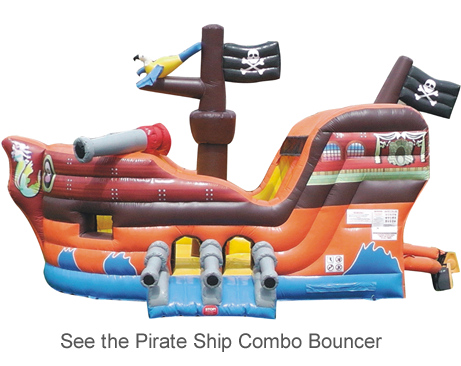 This unit is available for use with water on hot summer days, and features an attached splash pool at the end of the slide for a wet & wild finish. Get ready for wet & wild fun with this circus themed water slide. This awesome water slide rental stands over 18ft tall, and features colorful circus graphics and two inflatable seals balancing balls on their noses. The Circus fun slide has front loading stairs to the top of the slide where there is also "No-Jump" safety netting for the protection of your guest, from "Kid Crazy moves at the top. Player can then slip and slide to bottom where they'll be met with a fun splash pool, ready to do it all over again.